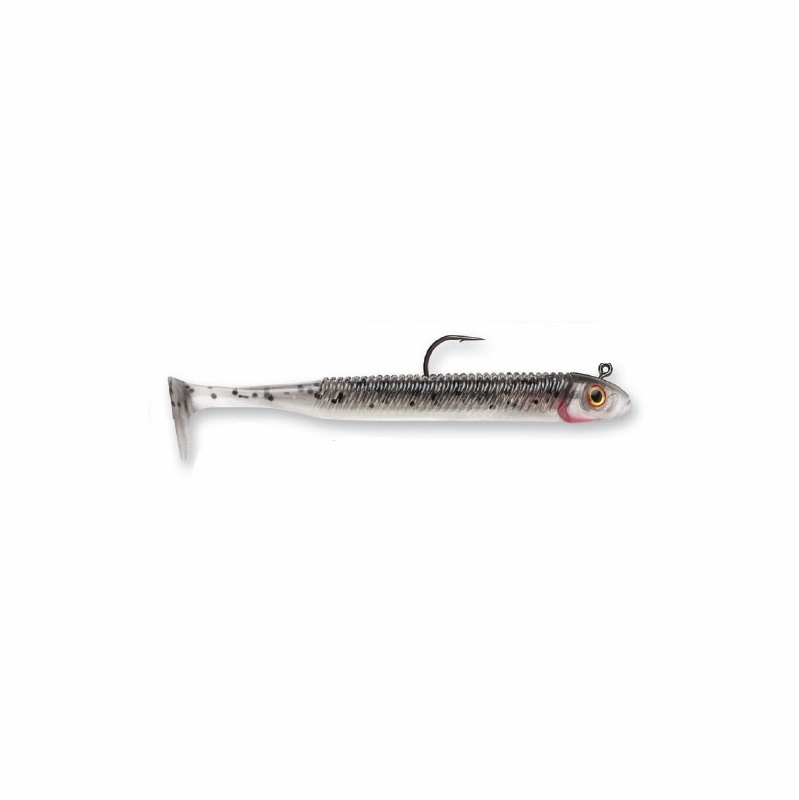 Storm 360GT Searchbait Minnow Lures are designed to be fished anywhere by all skill levels. These lures feature a rattling, weighted, life like jig head that matches the body perfectly for the most natural presentation possible. 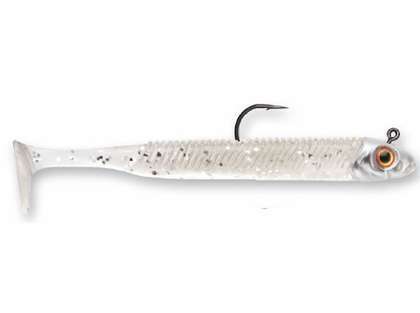 The toe-in boot tail design of these baits ensures the best action no matter the speed. VMC Coastal Black hook has extended "leg" on line tie to further enhance action. 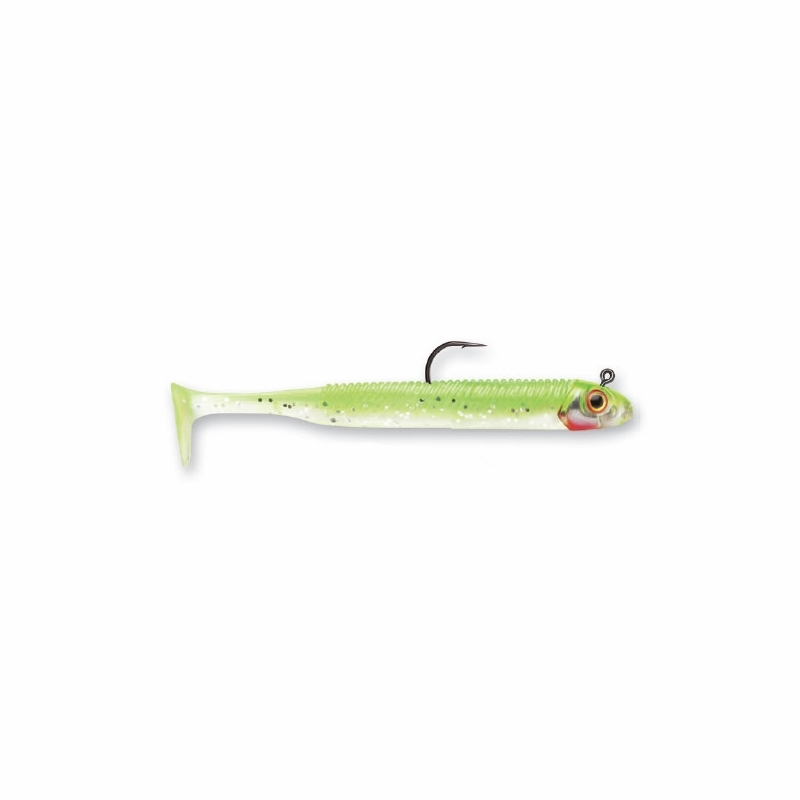 60 degree angle keeps lure swimming in perfect position. This color and style have accounted for 95% of all the fish we have caught this winter! It has been deadly on trout and reds, this is why we have purchased so many. I just wish the jig heads were less expensive alone. Most stores don't carry this brand. Gets the job done on school bass. Action is good. Jig heads could be bit heavier. Overall decent bait. 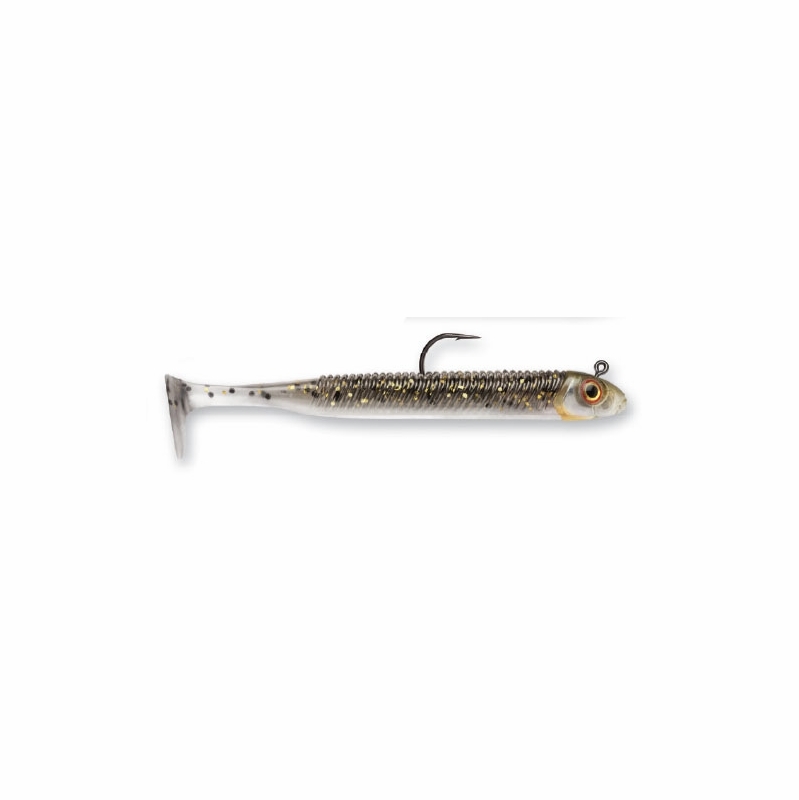 Great Lure, awesome tail action and tracks accurately. I will buy more. Great swimbait. You can use it anywhere at anytime and catch fish. Snook, striped bass, and largemouth bass love them!!! Awesome paddle tale action. It catches fish. You just cast and retrieve get ready for the action. I think the term "searchbait" is accurate. 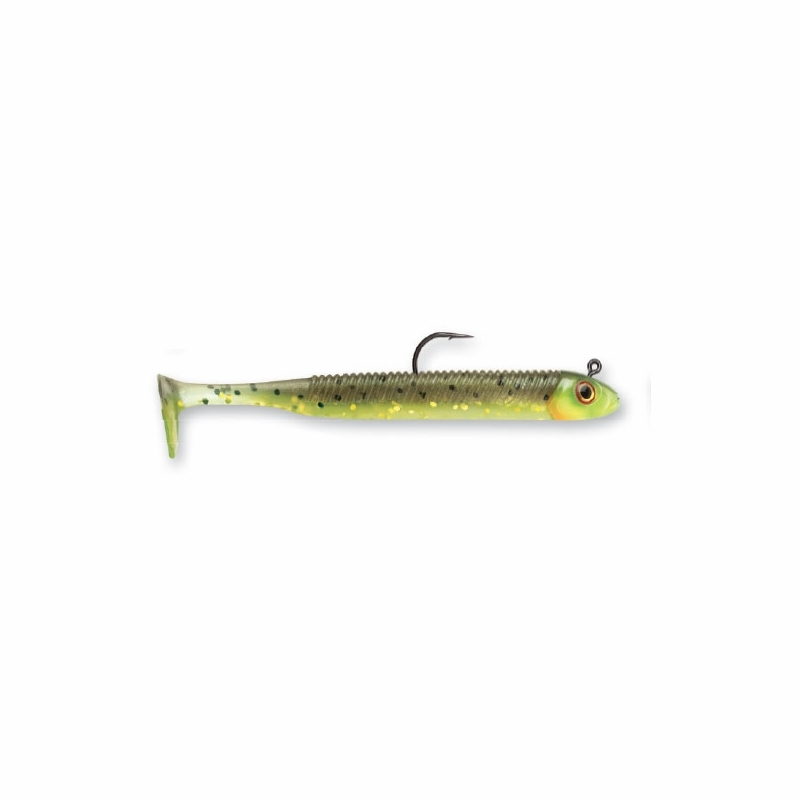 I brought this to a local narrow, shallow, slow flowing canal just to observe the lure action. To my surprise the lure was hit hard by a 12" brown trout on the second cast. I had tried using moving lures in this canal before, (small spinners, Rapala's) and have had fish follow but never actually bite. Trout in this water get a bit wary this time of year, but this lure sure seemed to get a reaction! ProsEasy to use, just cast and reel in. Casts well. awesome lure. so easy to use and it catches fish. 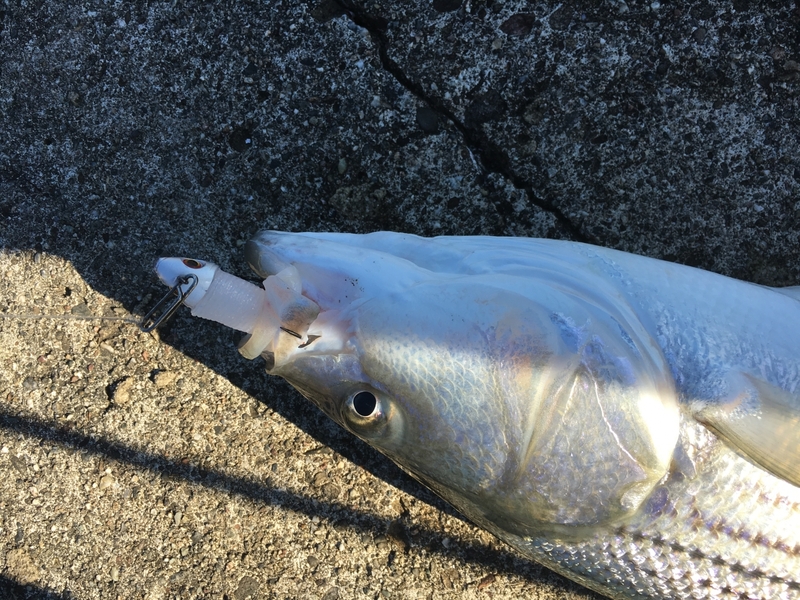 used it this morning and third cast landed a 34" striper! These lures are excellent for fishing in shallow water. 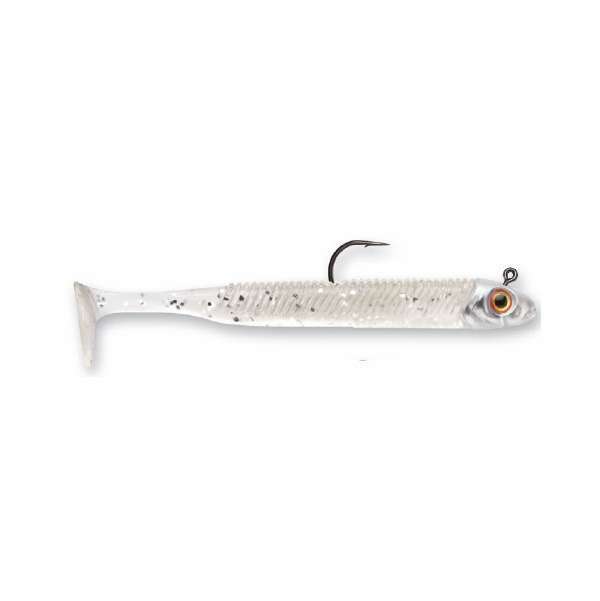 Schoolie bass killer! used storm 360 pearl and the small mouth went nuts, they love this swim bait.Can't wait to get back out there. Can the searchbait replacement tails work on other jig heads? The search baits have a small hole where the hook comes out of the top of the body so pairing it with the correct jig hook size would be important in keeping the swimming action of the lure. Are these lures used for trolling for salmon and lake trout? You could use these lures for that purpose, however the heaviest weight available is 3/8 oz which may or may not be heavy enough depending on your desired depth and trolling speed. Hi are these hooks saltwater grade? Yes, the VMC hook on the jig head will hold up in saltwater.